Theresa May will trigger Article 50 on 29 March, her office announced today (20 March), starting two-years of unprecedented negotiations for a country to leave the 28-member bloc for the first time. Downing Street’s announcement of the date – as promised, by the end of March – came after an earlier expected announcement was torpedoed by the declaration of Scotland’s First Minister, Nicola Sturgeon, to hold a second referendum on independence. A scheduled 6 April EU summit to discuss Brexit will now take place “within four to six weeks”, a source told AFP. Britain’s planned notification on 29 March “does not leave sufficient time” for a meeting that had initially been scheduled for 6 April, the source said. Officially, Brussels reacted at its daily midday press conference, with Commission spokesman Margaritis Schinas telling reporters: “Everything is ready on this side” and “we are ready to begin negotiations”. The long-expected news came as May was in Cardiff, the Welsh capital, as part of a short tour of the UK’s devolved parliaments and assemblies, ahead of the 29 March date. In Brussels itself, the news was delivered by the UK’s new ambassador, Tim Barrow, who informed Council President Donald Tusk this morning. The UK voted 52% to 48% to leave the EU in a referendum last June – although with no options or guidance on what form that so-called Brexit would take. May has since hardened the government’s stance – after taking over as prime minister from David Cameron – into a ‘hard Brexit’ which will see the UK (including Scotland, which voted to remain) leave the single market and end free movement of people. The Article 50 notification, under the Lisbon Treaty, gives two years for divorce talks – although that must also include ratification by the European Parliament, and is subject to a vote of national parliaments. Michel Barnier, a French diplomat, will lead negotiations for the Commission, with Belgian MEP Guy Verhofstadt representing the Parliament. At stake are also the several million EU citizens currently in the UK and UK nationals living or working in the EU, plus the future of the Northern Irish border with the Republic of Ireland. 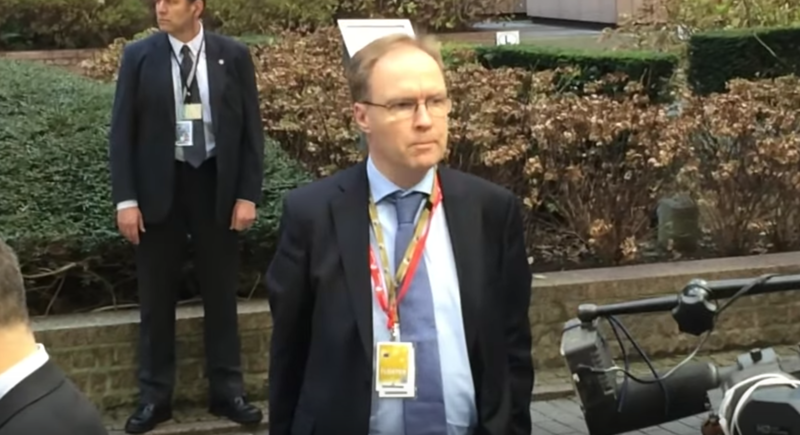 On the day Scottish First Minister Nicola Sturgeon announced a new referendum on independence, EURACTIV.com quizzed the SNP’s Brexit minister in Brussels on whether Scotland could actually rejoin the EU and why pro-independence polls hadn’t budged since the Brexit vote in June. 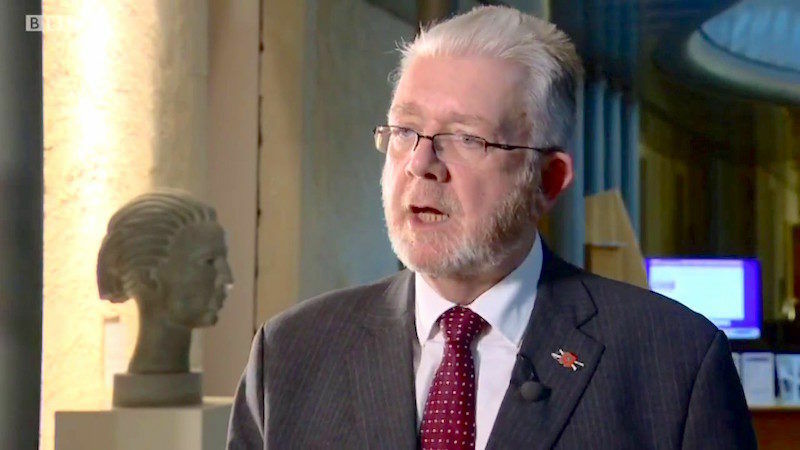 Separately, last Monday (13 March) Sturgeon announced that such a hard Brexit would constitute the ‘material change’ enabling the Scottish Parliament to hold a second independence referendum. Her preferred date was before the end of Brexit negotiations, from autumn 2018 to spring 2019, but that has been rejected by May. The UK only joined the EU in January 1973, and then re-affirmed membership in a 1975 referendum, before voting to leave last year. Before a future trade deal between the UK and EU is negotiated, Brussels is demanding a ‘divorce’ bill of around €60bn, for Britain’s ongoing liabilities to the bloc. Also at stake are various EU bodies located in the UK, and separately, the Euratom treaty on civil nuclear power. The British government initially denied its parliament any say on triggering Article 50, before the Supreme Court insisted MPs have a say. Despite various objections from the House of Lords, that legislation was passed earlier this month. If both the EU and UK agree, the two-year deadline set by Article 50 could be extended. On the other hand, if talks are not completed or break down, the UK would leave the EU and revert to World Trade Organisation tariffs. June 23, 2016: 17.4 million Britons voted to end their 43-year-old membership of the European Union -- a proportion of 52 %to 48%. A breakdown of the results shows England and Wales voted to leave, while Scotland and Northern Ireland opted to remain. The result took markets by surprise, although they soon recovered. The blow to sterling lasted longer -- since the referendum, the pound has lost between 15 and 16% of its value against the dollar and the euro. June 24, Conservative Prime Minister David Cameron, who called the referendum and led the campaign to stay in, announced his resignation. He said he would stay on until a successor was found, sparking a leadership race that in the end proved remarkably swift. Brexit campaigner Boris Johnson withdrew at the last minute and Theresa May, Cameron's interior minister for six years, was crowned leader on July 11. July 13: May became prime minister, appointing three leading eurosceptics to senior posts in her government and promising to implement Brexit. Johnson became foreign secretary, Liam Fox became international trade secretary and David Davis was put in charge of a new Brexit ministry. October 2: May said that Britain will trigger Article 50 of the EU's Lisbon treaty, which sets out a two-year process of leaving the bloc, before the end of March 2017. November 3: the High Court in London ruled that the government must obtain parliamentary approval to begin the Brexit process. The Daily Mail tabloid condemned the judges as "Enemies of the People" and May appealed. On January 24, 2017, the Supreme Court upheld the ruling. January 17, 2017: May gave a major speech setting out her strategy for Brexit. She had previously promised to cut migration from the EU and now acknowledged this would mean Britain leaving Europe's single market. 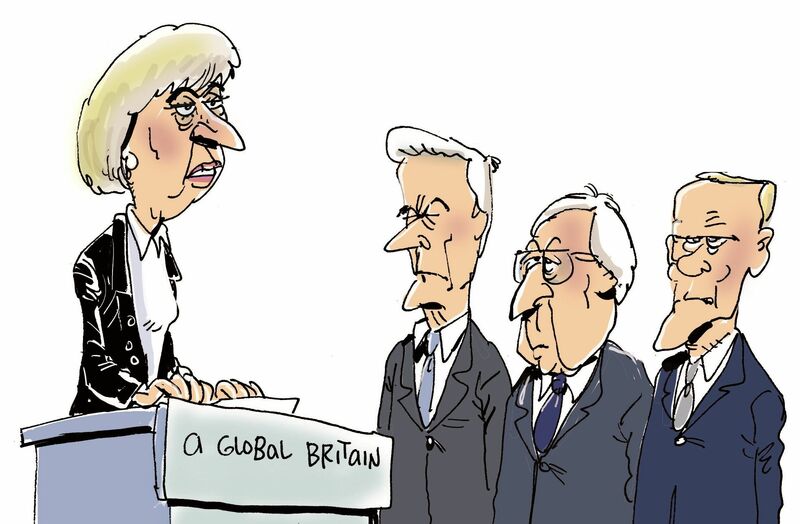 She warned she was willing to walk away from the negotiations with Brussels, saying: "No deal for Britain is better than a bad deal for Britain." the "special relationship" between the two countries. March 13: Britain's parliament gave final approval to a bill empowering May to trigger Article 50. The House of Lords had passed amendments to guarantee the status of European nationals living in Britain and to give parliament a final vote on the final deal. But these were overturned by the House of Commons and the bill passed unamended. Receiving formal royal assent from Queen Elizabeth II on March 16.
by accusing Sturgeon of "tunnel vision" on independence. May said "now is not the time" to be talking about another referendum, less than three years after the last one in which Scotland voted to stay in Britain. for a generation," Brexit minister David Davis said. The European Commission responded saying: "We are ready to begin negotiations". Meanwhuile the tory party has been fined £70k for crooked expenses at the last election & 20-odd Tory MPs are under investigation also for crooked election expenses – welcome to the UK – a country that aims to show Banana republics how to properly run crooked elections & May whilst elected as an MP was not even elected at PM. pathetic. Well kick her out the faster the better for the UK and EU . And i seriously hope this “UK” or England won’t even get a corn of deal of the EU’s single biggest market . A little bit a respect . You seem a little bitter because the UK has decided to leave the EU . I do not know which country you come from , but wonder what contributions your country makes to the EU budget . Is it a contributor or benefactor ? The EU does not accept citizens deciding that the EU has not improved the major issues across Europe . How has the EU been good for Greece ? The same with Portugal . What are the unemployment levels across EU member countries ? How is this good for EU citizens ? How is Italy’s financial situation good for EU members?